Uglyworld #216 - Happy Birthday Scottish Mum, originally uploaded by www.bazpics.com. 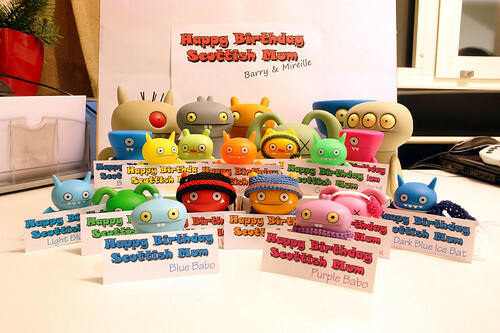 During the end of last week myself and Mireille had been buying a card to send to my mum in Scotland for her birthday (today - 9th December), little did we know that Babo had overheard many of our conversations and along with the help of Wage put together a little special ugly present of their own. Last night myself and Mireille were told to leave the room as there was important stuff to be done that we were strictly not allowed to see until it was 100% ready, shortly after midnight we were summoned back to the room to see this awesome sight. Happy birthday mum (from everyone over here in Germany)!! !